Probiotics are actual bacteria that you can digest to promote a healthy gut, whereas prebiotics are parts of food that stimulate the production and activity of healthy gut bacteria. They are a form of non-digestible carbohydrate found in a number of popular—typically fibrous—foods. Some common examples are bananas, oats, and artichokes. A new small study published in the British Journal of Nutrition is showing that prebiotics have a lot of promise in the area of asthma treatment, especially when the asthma is induced by stress or exercise. Asthma affects about 24 million Americans and comes in two forms: allergenic and non-allergenic. Allergenic asthma is caused by flare-ups from things like animal dander, dust, mold, and pollen. Non-allergenic flare-ups are caused by factors such as exercise, stress, medication, and illness. Regardless of whether or not you have allergenic or non-allergenic asthma, virtually all asthma sufferers experience symptoms during or following exercise. This could play a major role in your overall health; because if asthma is holding you back from exercising or getting the most from your exercise, you could be increasing your risk for heart disease, high blood pressure, obesity, type-2 diabetes, and many other chronic illnesses. The double-blind, placebo-controlled study showed that people taking a prebiotic supplement called “Bimuno-galactooligosaccharide” (B-GOS) for a three-week trial had significantly improved asthma symptoms compared to a group taking a placebo. Although the researchers aren’t exactly sure how the prebiotic curtailed symptoms, they believe that prebiotic use and healthy, diverse gut bacteria lead to decreased inflammation, which allows airways to stay open in asthma sufferers. You can also take prebiotic supplements. Remember to start slowly when you’re picking up your activity and to provide some time for the prebiotics to take effect. You should notice a difference within two to three weeks at the most. But, no matter what, always have your inhaler on hand and don’t hesitate to use it. Do not stop using any anti-asthma medications you’re on without consulting your doctor. The results from this prebiotics study are certainly very promising, but more studies need to be done to fully prove the effectiveness of this natural asthma remedy. Williams, N., “A prebiotic gallactooigosaccahride mixture reduces severity of hyperpnoea-induced bronchoconstriction and markers of airway inflammation,” British Journal of Nutrition, 2016; http://journals.cambridge.org/download.php?file=%2FBJN%2FS0007114516002762a.pdf&code=8639647dd95f7483388169c5ae3c5095; doi:10.1017/S0007114516002762. 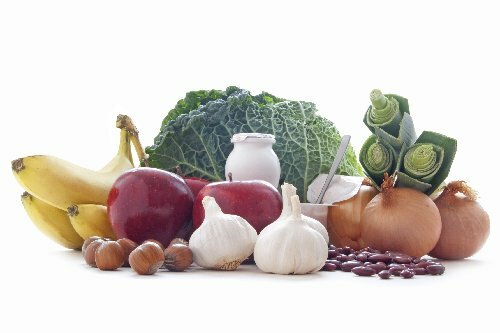 Whiteman, H., “Prebiotics could help treat exercise-induced asthma,” Medical News Today web site, August 7, 2016; http://www.medicalnewstoday.com/articles/312132.php.